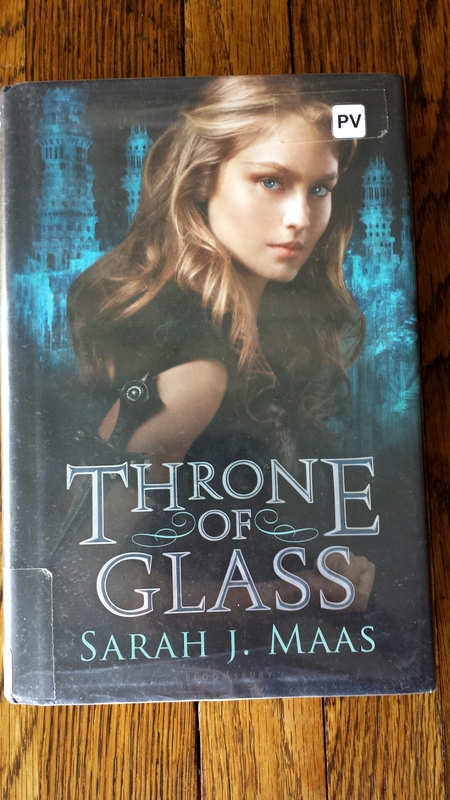 The first thing I did after reading this book was to order the next in the series from the library. After reading All Bright Places by Jennifer Niven it was nice to step out of the sad realities of life and into the exciting world where assassins, Kings, magic, and Fae coincide. I first picked up this book because it seemed to show up a lot in top lists of YA lit. Not knowing what I’d really get from the series, I started reading. The famous assassin Celaena has been working in the salt mines for the last year when the crown prince offers her freedom. The only catch is that she much compete in a competition to win the title of Champion to the King. If she wins, she’ll be granted freedom after a few years of service. After competitors start dying, she begins to realize that there’s more than just her freedom at stake. I have to say that the characters and the world are really interesting. There’s a lot of potential that the author has built into the series. As far as the world goes, we’ve only been introduced to a small portion: the salt mines and the castle. There’s a lot more to discover in the world and with the characters in general. I feel like we’ve barely scratched the surface of the characters but still get a taste of what leads them to do the things that they do. I think it’s a really nice balance that will lead to good pacing throughout the series. At this point, I can see where the series is probably going, in some ways, but I’m still excited to get the next book and get going on more reading. Stay toned for the next review! The book review for Crown of Midnight, #2 in the series, will be up in a few weeks. It’s definitely a series I’ll glad I started reading.